A man who lived in Romania tens of thousands of years ago inherited almost 10 percent of his genome from Neanderthals, according to a new study. The study, published Monday in the journal Nature, found that a Neanderthal was among the man’s recent ancestors, as recently as four generations back in his family. The findings reveal that some of the earliest modern humans who came to Europe interbred with Neanderthals. Scientists have known for decades that living humans bear traces of the Neanderthal DNA. However, the specific time and instances of the interbreeding has been a mystery. 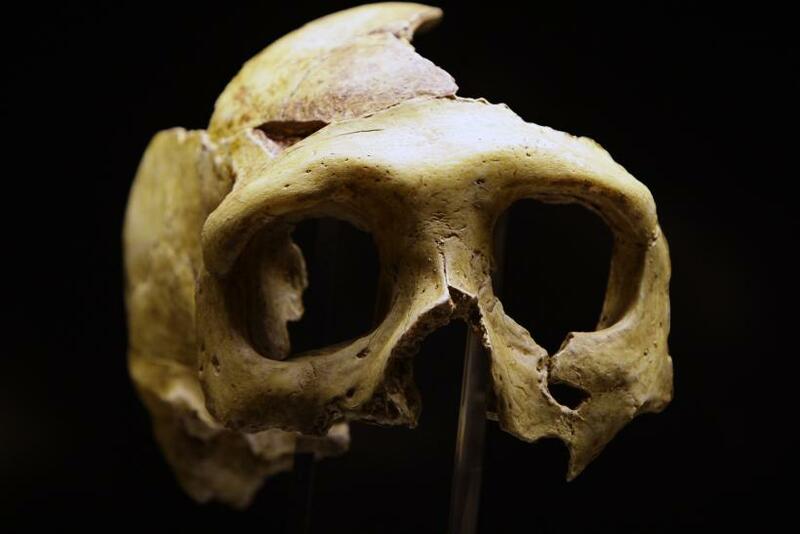 The new findings suggest that the interbreeding was much more recently than earlier thought. "In the last few years, we've documented interbreeding between Neanderthals and modern humans, but we never thought we'd be so lucky to find someone so close to that event," he said, according to BBC. The specimen, known as Oase 1, is a male jawbone recovered from the Peștera cu Oase cave system in Romania in 2002. Co-author Svante Paabo from the Max Planck Institute for Evolutionary Anthropology in Leipzig, Germany, said new methods used to reconstruct the subject’s genome were key to discovering the new results. “We tried to do this in 2009 and failed,” he said, according to National Geographic. The genome’s reconstruction, led by lead author Qiaomei Fu of Harvard Medical School, was incomplete, but it was enough for scientists to conclude that between 6 and 9 percent of Oase 1’s genome comes from a Neanderthal ancestor. Modern humans, by contrast, have 4 percent at most. The non-Neanderthal portions of Oase 1’s genome also reveal that he isn’t related to any humans living today, indicating that his line died out at some point. The most widely accepted hypothesis regarding the fate of the Neanderthals posits that they died out after interbreeding with humans sometime between 50,000 to 60,000 years ago. They were thought to have become extinct about 39,000 years ago.